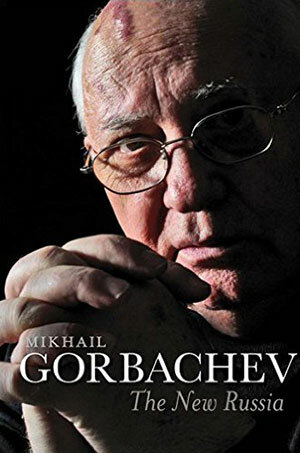 Mikhail Gorbachev, translated by Arch Tait, Polity Press, 2016, $35/hardcover, 400 pages. Reviewed By Jack F. Matlock Jr. When the Soviet Union came apart at the end of 1991, the nuclear arms race between the United States and the USSR had ended, a negotiated peace that benefited all parties had replaced the Cold War, and the Iron Curtain that divided Europe had vanished. We seemed to be on the threshold of a new Europe. Anyone puzzled by the way the unity and hope of the early 1990s has morphed to the division and fear we are experiencing today will benefit from reading and pondering Mikhail Gorbachev’s latest book, The New Russia. Its contents cover more than its English title suggests: while it does give the reader a running account of events in Russia after it shed the other 14 republics of the Soviet Union, it contains much more. The Russian title, Posle Kremlya (After the Kremlin), is more apt because the book presents important thoughts regarding history, democracy, international relations and the external events that influenced Russia’s revival of authoritarianism. These themes are worked into an account of Gorbachev’s own activity from 1992. Being the object of vilification by Stalinist forces who accuse him of destroying the Soviet Union to please the “West,” he makes a vigorous effort to defend his record. His account, it must be said, rings true, while his accusers’ charges are vicious invention. After all, it was his nemesis, Boris Yeltsin, who conspired to destroy the Soviet Union while Gorbachev was trying, with the moral and political support of the United States, to turn it into a democratic federation. And it was Boris Yeltsin who first appointed the current president, Vladimir Putin, to the post. Gorbachev is unsparing in his criticism of President Putin’s actions that undermine democratic institutions and inhibit the political habits that make democracy work, but he does not make the mistake of calling it a retreat from democracy. Gorbachev knows well that Russia has never had democracy; what he achieved with the reforms he championed was the possibility of developing democratic institutions. What Russia had in the 1990s was more akin to crime-infested anarchy than true democracy. The myth in the “West” that Russia was “democratizing” under Yeltsin survived even his military attack on an elected legislature in 1993 and the patently fraudulent presidential election of 1996. For most Russians, if conditions of the 1990s could be attributed to democracy, then democracy was not what they wanted. The potty-mouthed pronounce the Russian word demokratiya as dermokratia (shitocracy). For diplomats, particularly American diplomats, Gorbachev’s description of the impact U.S. policy had on internal Russian developments and Russian external behavior is instructive. Gorbachev feels betrayed not only by Boris Yeltsin and those who broke up a democratizing Soviet Union, but also by the successors of those Western leaders with whom he cooperated to end the Cold War. The Western leaders of his political generation gave him broad assurances in the transformative years 1989 and 1990 that they would not “take advantage” of a liberated Eastern Europe; that, in the words of Secretary of State James Baker III, “NATO jurisdiction would not move to the East, not one inch,” if a united Germany was allowed to stay in the NATO alliance. This was not a legally binding obligation, and the subsequent expansion of NATO was not a bad idea because it was a broken promise. It was a bad idea, period, if the goal was a Europe whole and free. Europe would inevitably stay divided unless Russia were embedded in a system that united the continent rather than perpetuating division. The progressive expansion of NATO to the east was only part of the problem. The Bush-Cheney administration withdrew from the 1972 Anti-Ballistic Missile Treaty that had served as the foundation for U.S.-Soviet negotiations to reduce nuclear weaponry. That, along with other willful and sometimes illegal acts, such as the invasion of Iraq without United Nations sanction, convinced most attentive Russians that the United States was determined to treat their country as a defeated enemy. “We won the Cold War!” triumphalism particularly rankles Gorbachev. The fact is that every agreement he made with the United States and its NATO allies was in the interest of the USSR, which needed nothing so much as an end to the arms race. Even more distorted is the widespread conviction that the Cold War ended with the demise of the Soviet Union. It was over ideologically by the end of 1988, and in most other respects by the end of 1989, the annus mirabilis of East European liberation. The Soviet Union disintegrated despite the end of the Cold War, not because of it. It was not a “Western” victory, though it did demonstrate that the communist rule of the USSR was not viable in a world without external enemies. Well, after a brief respite when the new Barack Obama administration initiated a “reset”—mistranslated by the Secretary of State’s advisers with the Russian word (in Latin characters yet!) for “overload,” the mistranslation proved to be a Freudian slip. The policy combined incompatible elements: efforts to cooperate when it was in the U.S. interest and policies designed to influence domestic politics in Russia itself. Equally threatening from the Russian standpoint was what seemed to Russians a calculated effort to alienate their most important neighbor, Ukraine, which had been part of the same country for more than two centuries. While the reset had important positive results, the New START treaty in particular, President Obama’s policy was doomed in other respects even before civil war broke out in Ukraine. As Gorbachev points out, Russians have been reacting to what they perceive as a persistent American effort to put them down, isolate them and dominate the world by exercising a global hegemony. That reaction has been damaging to Russia’s own interests and future; but, Russian patriots will argue, what proud nation, when pressed, will not push back? They did, and he and Gorbachev achieved a world-transforming feat in reversing the upward spiral of the arms race. Their joint declaration that “a nuclear war cannot be won, and must never be fought, which means there can be no war between us” is as valid today as it was in November 1985, when Reagan and Gorbachev met for the first time. Unfortunately, that important truism seems to be ignored now by the leaders and “policy elite” in both our countries. As we await the inauguration of a new president, our diplomats would be well advised to read Mikhail Gorbachev’s testimony. They may not agree with everything he writes, but his account will give them insight into the sort of advice they should not be giving our next president. In all of the global challenges we face, Russia is going to be either part of the solution or part of the problem. Mikhail Gorbachev has called attention to those actions and policies by the United States and its allies that have encouraged Russia to be a problem. Gorbachev has also written nostalgically about his relationship with Presidents Ronald Reagan and George H.W. Bush. A study of the interaction of those two American presidents with the president of the Soviet Union would provide important lessons for a diplomacy designed to transcend differences and concentrate on those issues that are vital to the future of both countries. Jack Matlock Jr., FSO-CM, retired, was ambassador to the USSR from 1987 to 1991, and is now Rubenstein Fellow and Visiting Scholar at Duke University. He first served in Moscow from 1961 to 1963, again from 1974 to 1978, and once more in 1981 as chargé d’affaires before his appointment as ambassador to Czechoslovakia (1981- 1983). 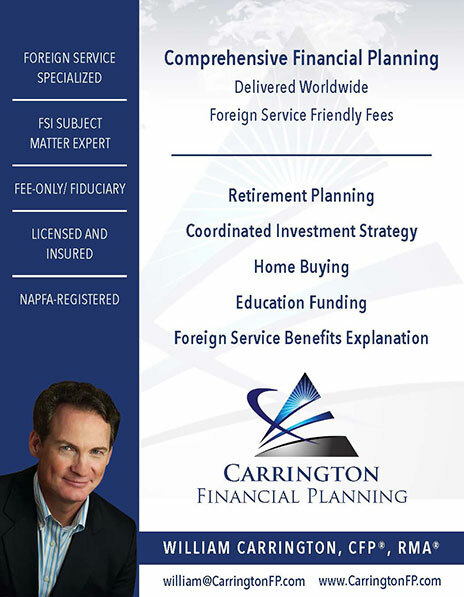 During his 35-year career in the Foreign Service, he also served in Vienna, Munich, Accra, Zanzibar, Dar es Salaam and Washington, D.C. He is the author of Autopsy on an Empire: The American Ambassador’s Account of the Collapse of the Soviet Union (Random House, 1995), Reagan and Gorbachev: How the Cold War Ended (Random House, 2005) and Superpower Illusions: How Myths and False Ideologies Led America Astray—and How to Return to Reality (Yale University Press, 2010). Comments on his books and an occasional blog post can be found at www.jackmatlock.com. Arkady Ostrovsky, Viking Press, 2015, $30/hardcover, $14.99/Kindle, 384 pages. Charles Clover, Yale University Press, 2016, $35/hardcover, $16.99/Kindle, 376 pages. For decades—perhaps centuries—into the future, historians will debate the significance of the 1990s in Russia. Was it a brief, freakish deviation from Russia’s pattern of having a suffocating state dominate individual initiative, or was it a turning point when Russians decisively embraced Western values of individual freedom and accountable government? While the answers to these questions are still unknowable, it is indisputable that the 1990s were a colossal setback, both economically and spiritually, to the vast majority of Russians. Liberal reformers were disappointed by their failure to leap-frog their country to Western levels of prosperity, civility and stability (Sweden wasn’t built in a day), while the masses of bureaucrats, military and intelligence officers and academics were in a state of shock at the loss of the Soviet Union’s social hierarchies at home and great-power status abroad. Both books under review recognize how pivotal the dramas of the 1990s are to understanding contemporary Russia. The events are well known: Mikhail Gorbachev’s decision to allow the Warsaw Pact to disintegrate as Germans peacefully destroyed the Berlin Wall; the failed 1991 putsch in Moscow that backfired so spectacularly that the USSR’s 15 republics became independent countries with less advance notice than a wedding, while allowing Boris Yeltsin to punctuate his own coup over Gorbachev; and then Yeltsin’s Shakespearean presidency, which saw bloody rebellion in Chechnya and in his own parliament, intrigue among his courtiers and family members, and epic theft of state property. Against this background, Russia’s foreign policy tried to perpetuate Moscow’s image as a superpower, but failed to either block the eastern enlargement of the European Union and NATO or to reconcile Russia’s strategic interests with this process. Though Ostrovsky and Clover are describing the same events, they choose opposite points of entry. Clover follows the defenders of aggressive Russian nationalism, who rebounded from the collapse of the USSR to achieve unprecedented influence under Putin. 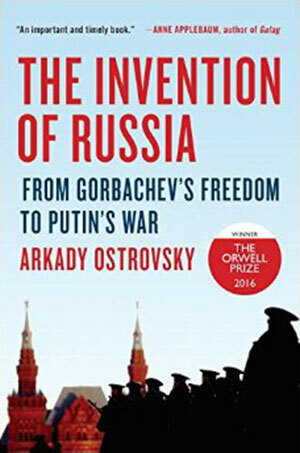 Ostrovsky tells the story from the perspective of the shestdesiatki (1960s) generation who emerged during the Khrushchev era and, after being forced underground following Brezhnev’s crushing of the Prague Spring, were brought to center stage by Gorbachev in the late 1980s. Ostrovsky masterfully describes the people within this movement, concentrating on journalists who employed the media to propel reformers into power in large part by using Gorbachev’s glasnost (openness) to discredit the Soviet regime. It’s difficult to imagine how dizzying a time this was. In the space of 10 years, an odd assortment of men from the society’s margins (where they sold jeans, wrote for underground papers or marked time in academic institutes) assumed leading roles in Russia. From underdogs, they were now seen as instruments of an inevitable wave of change that would end Europe’s ideological fissures, the “end of history” in Fukayama’s phrase. What could possibly go wrong? The early days of Kommersant, the country’s first private, pro-market newspaper, was an indication, and Ostrovsky’s description encapsulates the complexities of a changing Russia. Kommersant’s reformist owners were all too willing to con investors and manipulate their shares, even as their paper advocated for free markets and private property. These million-dollar swindles were a prelude to the massive manipulations a few years later, when Yeltsin pawned Russia’s most valuable companies to seven oligarchs in exchange for positive media coverage and financial backing for his 1996 re-election bid. Ostrovksy points out that this transaction was unnecessary and short sighted: by 1996, the private sector and the major media companies were sufficiently mature to understand what was at stake in the choice between Yeltsin and his communist rival. The backroom bribe was a tawdry own goal that helped discredit democratization, the media and big business all in one go. Having secured Yeltsin another term, this new elite then tore itself apart in the “bankers’ war” and associated battles. The failure to articulate, define and defend the new Russia left a huge void for a different cast of political and intellectual entrepreneurs to fill. These included nationalists, officers nostalgic for their fallen superpower and reborn communists who coalesced around the concept of Eurasianism, the subject of Clover’s book. Eurasianism’s starting point is Halford Mackinder’s 1904 geopolitical theorem: “Who rules East Europe commands the Heartland; Who rules the Heartland commands the World Island [the Eurasian continent]; Who rules the World Island commands the World.” Mixing it with a healthy dose of conservative Russian nationalism produces an ideology that celebrates Russian imperialism and implacable opposition to Western political and social values. Clover traces the development and evolution of Eurasian ideology, while simultaneously pointing out that its central tenets have been discredited intellectually since their establishment in the 1920s and that its proponents often weave dark conspiracy theories into their geopolitics. Clover’s occasionally too-detailed narrative painstakingly relates the life stories and intellectual struggles of largely forgotten thinkers such as Prince Nikolay Trubetskoy and Lev Gumilev, a tragic figure who suffered two stints in the gulag, lived long enough to see the USSR’s demise and ended his life pining for its restoration. 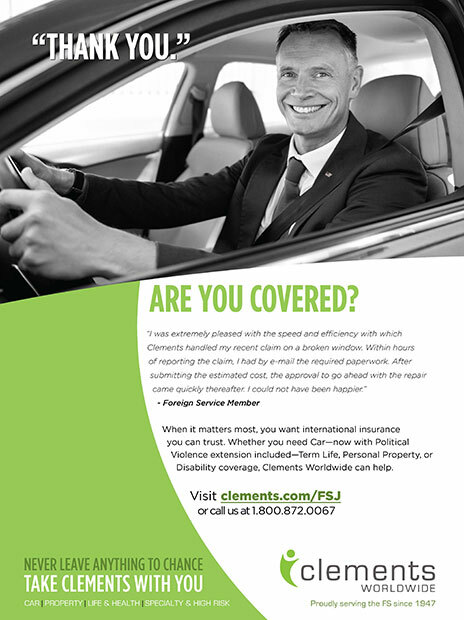 Alexander Dugin, who embodies many of the Putin regime’s most salient characteristics, is Clover’s chief protagonist. A former dissident poet/essayist, Dugin latched onto the ideas of European fascists as the USSR disintegrated, blended them with Russia’s Eurasianist thinking and worked for years—with little success—to harness the growing popularity of Russian nationalism to achieve political influence. Paradoxically, while preaching an arch-conservative philosophy, Dugin is thoroughly post-modern. He gleefully deconstructs his own arguments and Russia’s simulation of politics, as well as the ideas advanced by Western opponents, leaving Clover unsure whether Dugin is a sincere chauvinist or just a spin doctor with an unusually elaborate and colorful backstory. As for Dugin’s direct influence on Putin and his government, Clover is skeptical, though he dutifully sifts through the gossip and uncovers instances when Putin appears to have incorporated Dugin’s utterances into his speeches. Dugin’s most significant impact on Russia was probably in the 1990s, when he took advantage of the ideologically shell-shocked Russian military establishment and was named a regular lecturer at the officers’ academy, where his book, Foundations of Geopolitics, was to become required reading. Like others who wanted to preserve the USSR, Dugin recognized that one of the many failures of the 1991 putsch was its absence of a communications strategy or ideology. Eurasianism, he reasoned, was the post-communist justification for the continued existence of the Soviet Union. Following his 2012 return to the presidency, Vladimir Putin stepped up his vilification of the West and made reasserting Russia’s “zone of privileged interests” in neighboring countries a top priority. Dugin appeared regularly on television and was an outspoken advocate of Russia taking even more Ukrainian territory by force. But when these more radical positions fell out of favor in the Kremlin, Dugin’s media profile diminished, suggesting the Kremlin trots him and his ideas out when useful but is not following his strategic playbook on a daily basis. Clover has spotlighted the interplay between Eurasianist philosophy and Putin’s Russia; but, as he would acknowledge, more research is required to explain how the ideologies of Russian nationalism and imperial nostalgia influence today’s Russian government. Both books remind us that “Russia is an idea-centric country” (Ostrovsky’s phrase), in which journalists, “political technologists” and public intellectuals play an outsized role in determining the country’s fate. Ostrovsky’s work will be a mainstay for describing and explaining the last several decades of Russian history and is gracefully written to appeal to all interested readers. Because Clover’s book is denser and dissects ideas (and some conspiracy theories) in greater detail, its audience may not extend beyond the communities of Russia geeks and specialists in European nationalism. The lessons of the 1990s in Russia remain salient: Clover’s central point is that even the brain-waves of cranks often change history. And Ostrovsky reminds us that core Enlightenment values cannot flourish without an elite that is willing to set aside its immediate interests to build institutions and habits that will safeguard them. FSO Eric Green is director of the Russia Office in State’s Bureau of European Affairs and previously served as political counselor in Moscow. He joined the Foreign Service in 1990 and has also served in the Philippines, Ukraine, Northern Ireland, Turkey and Iceland. He is a member of the Foreign Service Journal Editorial Board. The views expressed here are his own and do not necessarily reflect those of the Department of State. 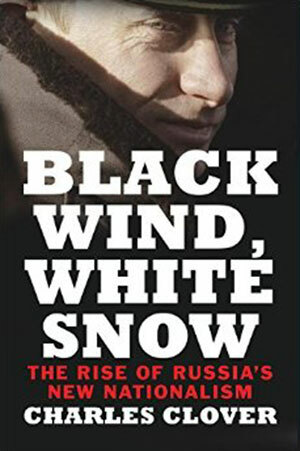 In the run-up to the 25th anniversary of the new Russia this year, a great many books have been written to chronicle, analyze and attempt to understand the momentous events and leading personalities involved in the dissolution of the Soviet Union and subsequent emergence of a changed Russia and 14 independent nations. 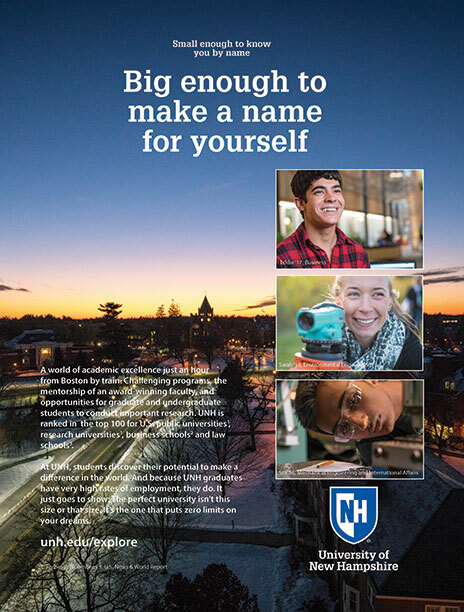 Several publications and think tanks have presented thoughtful reviews and useful lists of some of those titles. Among them, “Putin’s Russia” in the New York Review of Books, “Return to Cold War: Russia and the Former Soviet Union” in Foreign Affairs and the Center on Global Interests’ “Russia: A Reading Guide” stand out. Benjamin Nathans’ essay, “The Real Power of Putin,” in the Sept. 29 New York Review of Books, explores Putin, the individual, and his role in the evolution of Russia since the end of the USSR. Recognized as a “conservative patriot,” as Nathans puts it, Putin appeared to be soberly pursuing Russia’s national interest at the turn of the 21st century. “What happened? Why did Putin’s Russia jump the rails? Why is the talk (not to mention the book titles) in the West no longer of transition but regression, with a ‘new tsar,’ a ‘new Russian empire,’ and a ‘new cold war’?” Nathans asks. He draws on the insights offered in nine recent titles on Russia to frame the answers. In the process, we are reminded of Russia’s long history of authoritarianism, empire and the importance of ideas in its rich culture. With a focus on “Putin’s Russia,” the May-June issue of Foreign Affairs includes Columbia University Professor Emeritus Robert Legvold’s brief review of six recent titles ranging from The Red Web: The Struggle Between Russia’s Digital Dictators and the New Online Revolutionaries and Velvet Revolutions: An Oral History of Czech Society to On Stalin’s Team: The Years of Living Dangerously in Soviet Politics. In the same “Recent Books” feature, Angela Stent, director of the Center for Eurasian, Russian and East European Studies at Georgetown University, reviews Legvold’s own new volume, Return to Cold War. In August, to usher in the new academic year, the Center on Global Interests posted “Russia: A Reading Guide.” In this unique resource, a variety of experts share the books that shaped their own understanding of Russia and titles that policymakers should read to better understand Russian society, politics, culture and foreign policy. Twelve Russia experts—from former CNN Moscow correspondent Jill Dougherty and former New York Times Moscow correspondent Steven Lee Myers to former Senior Director for Russia on the U.S. National Security Council Thomas Graham (a former FSO) and former U.S. Ambassador to Russia Michael McFaul—offer, as CGI puts it, an eclectic blend of fiction and non-fiction, new and old works, classic and more obscure. Anyone in search of just the right reading list to become informed about Russia and Vladimir Putin will certainly find these choices to be an excellent start.